Time tracking is an integral part of any organization. It is just impossible to remember at the end of the month what all the people did for a client with any certainty. Even if you are a one-man-band, I can bet you that you are losing track of spent hours if you keep them only in your head. As Nivas grew over the last years from couple of people up to today’s number of ten(ish) and with that grew the number of active clients, it became obvious that we will need some software to help us keep track of spent hours. So we decided it is time to build our own service to track time. You could now ask “why not just use one of the existing ones available online?”. And that question is perfectly valid, there are some great time-tracking products available! However, there is this little thing called – Croatia, and Croatian laws. You see, our law system is out of the touch with reality therefore out of touch with how time tracking should really work. They passed a law for time tracking in companies that requires very specific things to be tracked in case of inspections. Commercial available systems do not have all those details built in, as they were designed to do one thing only, and do it good – track time spent on projects/clients. You can read all about it here in full bizarre detail. Even if you do not understand Croatian, you can just quickly scroll and see the number of bullets, that will give you the clue. 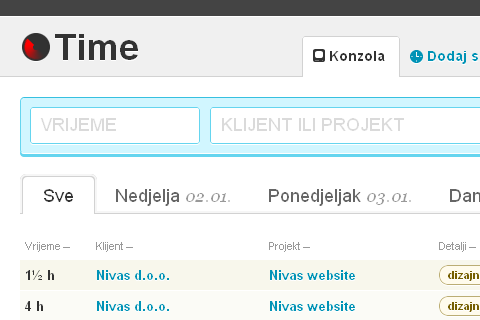 Nivas Time is in use here locally for the last 3 months, and it is going heavy development and beta testing. It is “Soon™” ready to be released into world as invite-only beta. After that, it will be released into public with two way model – free for small users (one-two man forces), and subscription based for bigger companies. 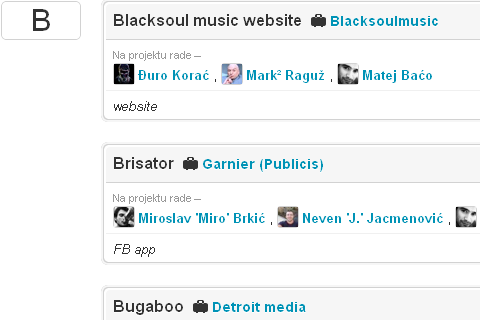 It will be available with English and Croatian interface, of course. If you are interested to be in the first batch of invite-only testers, send us a mail, we will keep you in mind. update1 (16.1.2011. 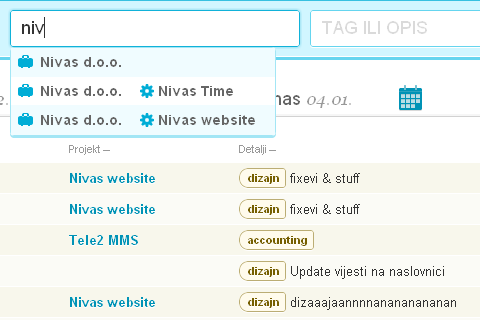 ): Time is now online at time.nivas.hr address and we are preparing test accounts for all of you who contacted us.